Convenient Weight Marker When ya give this spring scale a tug, the weight marker will slide to the appropriate weight and stay there until ya move it back to zero. This will help ya out when you're weighing items that are a little on the heavy side. Load, weigh, unload, check your weights...it's really simple. This Thing Sure Is Durable This mechanical scale was built to last. Inside the corrosion resistant housing you'll find stainless steel components that are attached to the stainless steel weighing hook and hanger. Whether ya want to use this as a fishing scale, hunting scale, bow scale, or just a great general purpose scale, you're good to go with this Weston. 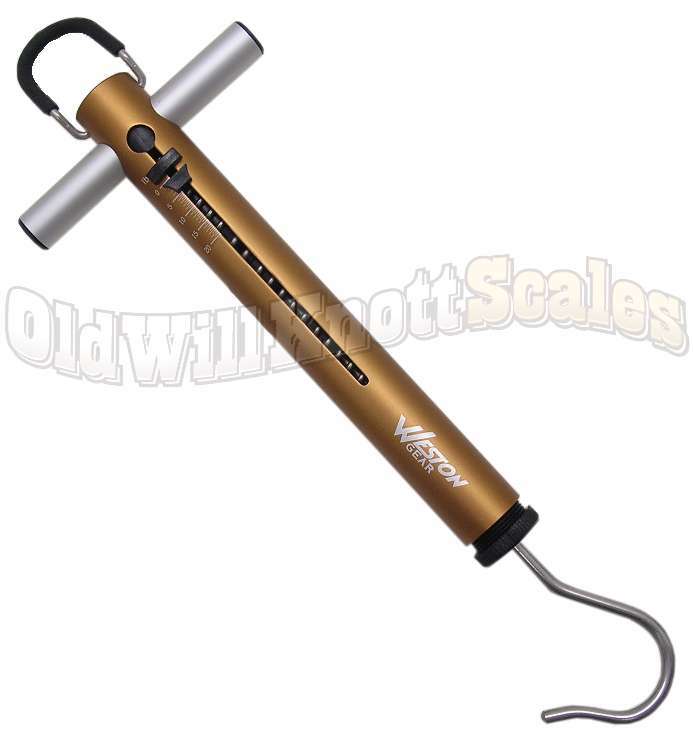 1 YEAR MANUFACTURER'S WARRANTY This Weston scale comes with a one year manufacturer's warranty against defects. Just like the other reviews I read so far this is a very simple product and is easy to use. The best feature is the weight marker that allows you to determine the force after you unload the scale. I have absolutely no problems to report with this product. 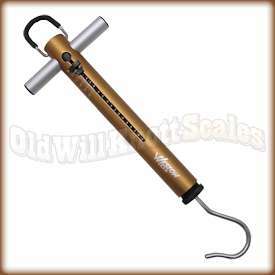 The service from Old Will Knott Scales was great and the standard USPS shipping was fast. Well built, does exactly what I want. It is indeed a great price too. I bought it for setting down rigger release tension. My wife is a teacher and I recommend it for teachers too needing classroom spring scales for science lessons. I am not sure how to use this scale properly. I had to file the end of the hook to a point so I could insert it through the lower lip of the bass I catch in order to weigh them. I was told at a sporting goods store that if I hooked the bass on the scale through the gills I would kill them. The fish are alive and flopping about, but with a sharp point on the hook of the scale, they are much easier to weight. Other than that, the scale is as advertised.